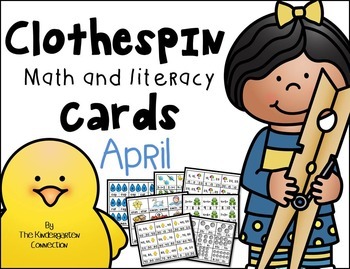 This is the April Edition of Clothespin Math and Literacy Cards. 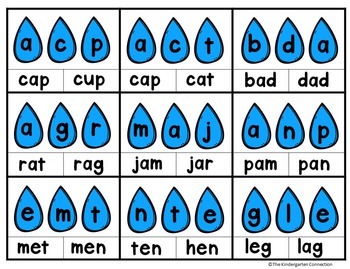 Unscramble the letters on the raindrops to make CVC words. Clip the words that you make. 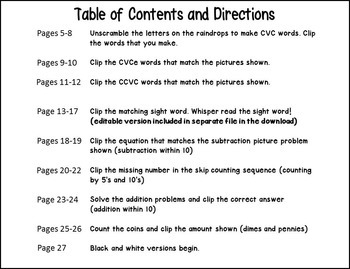 Clip the CVCe words that match the pictures shown. 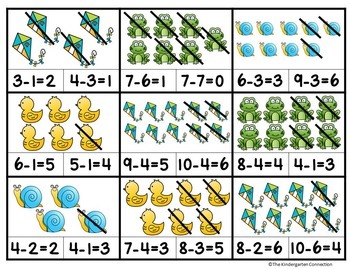 Clip the CCVC words that match the pictures shown. Black and White versions begin. - these are an additional 185 cards, just in black and white for an ink saving option!